Last updated 08 November 2018 . By Olivia Cheves. The rumours are true - actor, DJ and all-round chill dude, Idris Elba, is opening a bar in London. An all new venture from the celebrity and brothers Lee and Nicky Caulfield, this 60-seater bar will be bringing a taste of more tropical climes to the city. 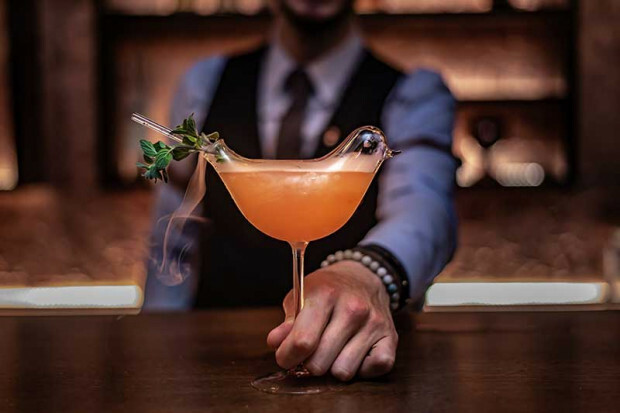 Boasting vibrant cocktails and delicious small plates, The Parrot will be taking over a space inside the Waldorf Hilton and it's set to be all about the A-list touches. Guests will find themselves entertained nightly by a five-piece live band, fronted by a changing line-up of West End performers and special guest singers, while VIPs will receive the ultimate luxury experience as they are shuttled to and from the venue in a Parrot-branded, chauffeur-driven Aston Martin. And if that ain't Hollywood enough for you then we don't know what is.